There are a lot of “athletic shoes” on the market. Many of them are designed with specific goals in mind: cross-training, basketball, distance running. Some are even designed to help alleviate specific foot conditions. Plantar faciiatis is an inflammation of the connective tissue on the bottom of the foot. The causes of the condition are many, but the three primary ones are: over-exertion from sports, weight gain, and bad footwear. Plantar faciiatis will make walking literally a pain (an excruciating, consciousness-obliterating pain). The first two causes are manageable, but finding the right shoes for those suffering from this condition can be a challenge. 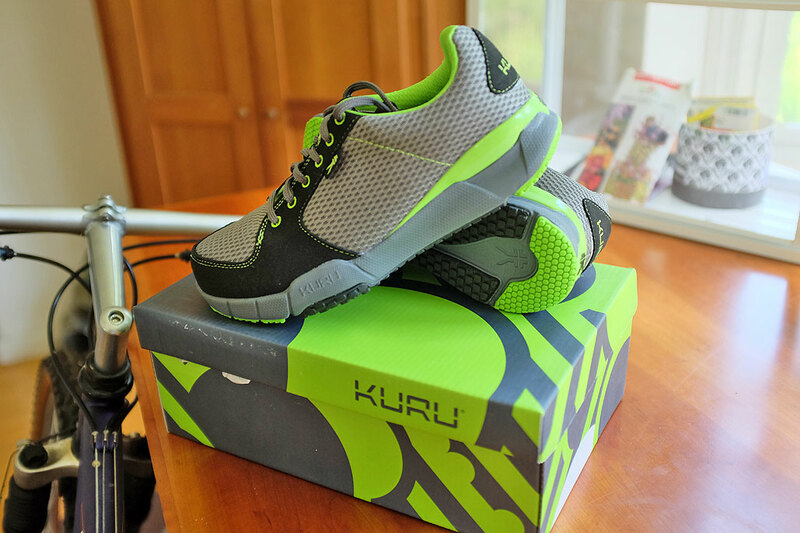 KURU, a small footwear company launched in 2009, came up with a heel design for athletic shoes which may give comfort to those afflicted with the condition (this hobbling, energy-sapping condition). Kuru explains that its KuruSole System cradles the heel and dynamically adapts to the shape of the heel and molds to the foot. It is like having a custom orthotic inserts built right into the shoe. In addition, unlike other shoes, the KuruSole design works to preserve the foot’s natural shock absorbing abilities. A pretty cool idea! When we heard about these shoes, we had to get a pair and check it out for ourselves. Kuru offers a variety of different styles of athletic shoes for men and women. The first thing we noticed about their shoes was none of them had the typical look of orthotic shoes. They did not have the thick soles or the clumsy bulky appearance that scream “S/he’s got a foot problem!” They were…attractive. After looking around at the offerings on their site, we chose the Kinetic. 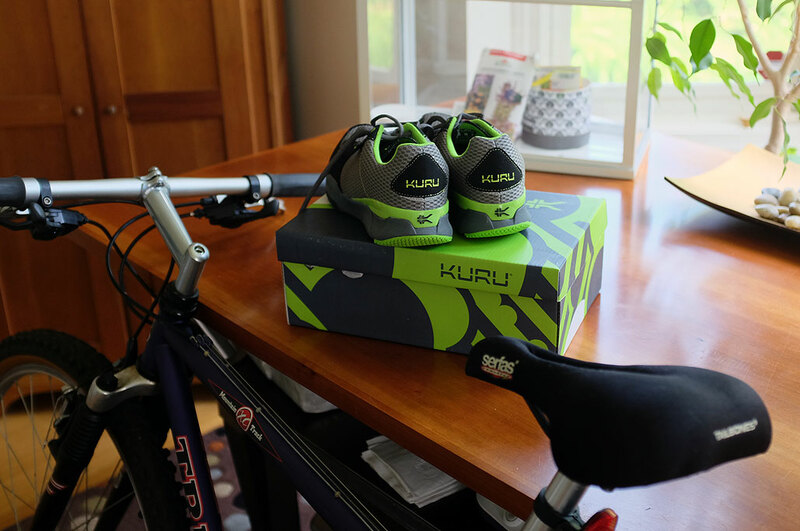 The decision was based on this product’s animal-friendly materials, as well as the fact that all of Kuru’s shoes are built around their KuruSole technology. Custom Molding Insole – space-age foams, using the wearer’s body heat, will mold over time to provide a custom arch and heel support. Orthotic-Grade HeelKradl™ – underneath the insole is an advanced thermoplastic orthotic molded directly to the shoe. This HeelKradl™ cups the heel, maximizing the support. Premium Ride Midsole – the HeelKradl™ is co-molded with a performance-grade EVA midsole for cushioning. Natural Forefoot Movement – a naturally flexible forefoot gives a more barefoot feel. If you are having foot pain—searing, breathtaking pain—and can’t find shoes that won’t make you wince with every step, you may want to take a look at Kuru. As they are still a small startup, the shoes are probably not available at your local FootLocker. However, to make trying the Kuru risk-free, they offer a pretty decent 45-day No-Hassle return policy. Our editor with the problematic fascia will wear the Kurus for a few months, and report on how her experience with the Kinetic. Look for her thoughts on them in the Fall!